Patriot Solar Group & Lansing Board of Water and Light (BWL) have signed two solar Power Purchase Agreements for Lansing and East Lansing community solar projects. 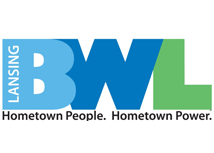 The first of which is located at the retired Burcham Landfill, and the second which will be adjacent to the BWL Wise Road Water Treatment plant in Lansing. The Burcham Landfill location will utilize Patriot Solar Group’s Ballasted Ground Mount Racking to prevent any penetrations of the landfill cap. The BWL Wise Road location will utilize Patriot’s Post Driven Ground Mount. Each location will contain a 300 kW system (about 1000 panels) which will occupy approximately 1 acre of land. Patriot has been at the forefront of the development process with regards to the community solar project. Initial discussions began cultivating about a year ago as to the size and complexity of the project as well as the financial modelling and business model that Patriot and BWL will adopt for this community solar project. Patriot has undertaken the total scope of the solar development cycle including development, EPC, Installation, operations and maintenance. BWL customers are eligible for paying into the community solar project by leasing one or several panels. In return the customer receives credit on their utility bill each year for 25 years. The cost per panel comes to $399 per panel and customers are welcome to purchase more than a single panel to receive additional credits. Pre-registration began on Monday, October 19 at micommunitysolar.org. Formal registration will begin later this year. The construction portion will begin once the community solar projects receive 80% occupancy of the available panel leases.